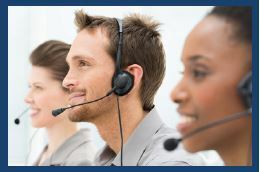 Samsung CMS Business Phone Systems Albany NY | Samsung Phone Systems Albany | Allied Telcom | Allied Business Systems	| Allied Business Communications, Inc.
real time using a confi gurable dashboard and reporting suite. With Samsung CMS, users are able view real-time and historic call statistics, check the status of other extensions and record all external phone calls. Samsung CMS enables your business to assess how quickly an agent answers a call, how many calls are lost, as well as peak times for incoming and outgoing calls. Paired with Samsung WE VoIP application, it can also make ‘Bring Your Own Device’ simple, allowing employees to make business calls from personal devices and automatically charging them back to the office.